Good morning! The women's Final Four is set: (2) Oregon vs. (1) Baylor and (2) UConn vs. (1) Notre Dame. P.S. Has your best friend signed up yet? Some New Jersey sportsbooks have begun issuing refunds (in the form of a credit) to losing bettors following bad beats in high-profile games. Driving the news: When Zion Williamson's shoe exploded against UNC in February, PointsBet, an Australian-based operator with a mobile app in New Jersey, issued $100,000 in refunds to those who bet on losing Duke. DraftKings refunded spread and money line bets (up to $50) to those who bet on Purdue over the weekend after Virginia hit a buzzer-beater to send the game to overtime and then covered the 4.5-point spread. What's happening: These give backs are, at their core, a marketing ploy designed to generate publicity. Pick a high-profile game, announce the refund and sit back while The Action Network's Darren Rovell and others report on it. In other words, sportsbooks are taking a short-term loss in hopes that news of them doing so generates a long-term gain. Also, the refunds come in the form of credits, not actual cash. So they're giving money back but that money must be used to place a future bet. The other side: Not all bettors like this idea. After all, how do you decide when money does and doesn't get returned? What's the precedent? Any sportsbook that engages in this too frequently risks looking like they're not legit. Plus, while it may be good business now, that might not be the case in the future. "When sportsbooks are doing this 100 times a year, I'm going to stop tweeting about it, as will others, and there will be diminishing returns," Rovell tells me. The big picture: "The New Jersey sports betting market is becoming increasingly competitive, and it's a proving ground for anyone who wants to contest the broader U.S. online sports betting market," Chris Grove, managing director of Sports and Emerging Verticals at Eilers & Krejcik Gaming, tells me. 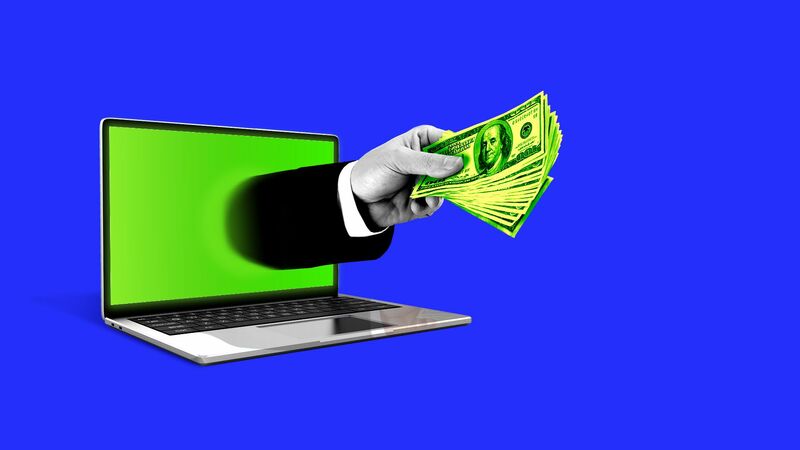 "All of that adds up to an environment where we're going to see aggressive marketing tactics, including some that wander into negative ROI territory or ruffle the feathers of some sports betting 'purists.'" Be smart: To paint this as nothing more than a marketing tactic designed to bring in new customers would be a mistake, as give backs are also designed to keep existing bettors around. Customer loyalty, if you will. "A lot of people are betting for the first time and it's with us. We don't want one of those bets to punch them in the nose and for them not to come back," says Jamie Shea, head of digital sportsbook operations for DraftKings. And by the way... "Vegas did the exact same thing," says Shea. "But instead of giving back money on bets, they kept customers loyal by offering comp rooms or meals or loyalty points. We can't give free rooms." 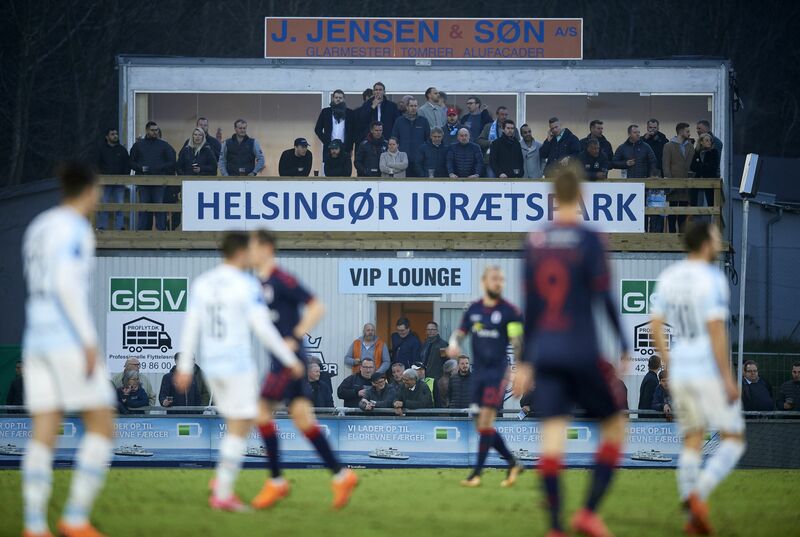 An American ownership group led by soccer investor Jordan Gardner announced the takeover of Danish club FC Helsingør last week. Their plan is to turn the club into a haven for young American talent. Why it matters: Ever since the U.S. men's national team failed to qualify for the 2018 World Cup, U.S. Soccer and MLS have made strides to improve the next generation's development — and make sure we never get left out again. All the while, a growing number of young players are leaving to test their mettle in Europe, and Gardner — who already has ownership stakes in Ireland (Dundalk) and the U.K. (Swansea City) — thinks Denmark could be an ideal destination. Why Europe? According to Gardner, if you prove yourself in a lower level in most European countries — Denmark included — "you will get sold to a bigger club and move up the food chain very, very quickly." Meanwhile, here at home, players rarely move from the lower-divisions like the United Soccer League to MLS, and outside of a handful of MLS teams, few young players are actually getting first-team minutes. Why Denmark? "There's no foreign player restrictions, pretty much everyone here speaks English, and there's a culture of playing young players at all levels of Danish soccer," said Gardner. "There are a couple of Americans who have proved the model there already; Jonathan Amon of FC Nordsjælland just got called up to the national team last year." Target age group? Gardner says they'll have different pools of players, starting with 16-year-olds who they could bring over on educational visas since they can't sign pro contracts. "18 or 19-year-olds are debating between going to college or signing an MLS homegrown deal, or going to Germany. We want to be that fourth option for them." “21-23 is still an option for players coming out of college or who are already in Europe and can't find the playing time they need. Older than that, we'd consider a few cases to stabilize the first team or be mentors for the young players." 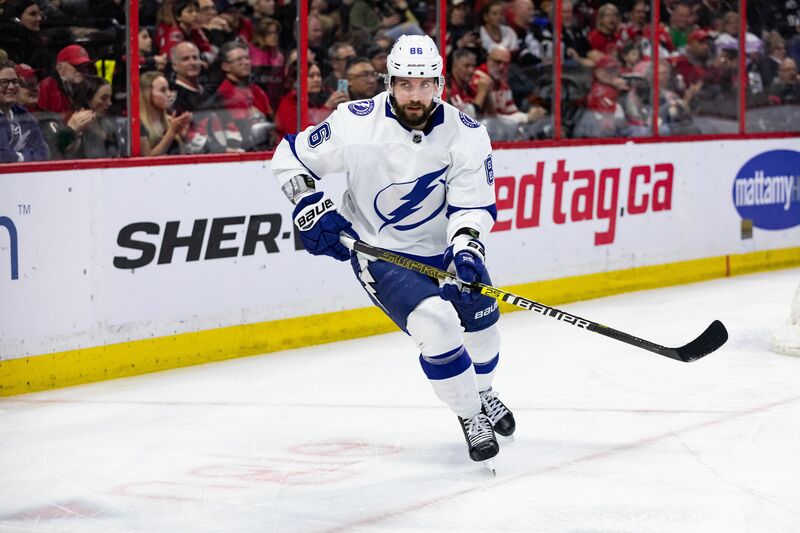 While the NBA's MVP race remains worthy of debate, the NHL's MVP race has been over for quite some time, with the Tampa Bay Lightning's Nikita Kucherov all but guaranteed to win. By the numbers: Kucherov has 125 points this season (39 goals, 86 assists), which is tied with Joe Thornton (2005-06) for the most this century. He has 29 more points than anyone else on his team, an impressive feat considering he plays on the best team in the league (by a lot). Seven of his 39 goals have been game-winners. His points shares — aka, the number of standing points contributed to his team via his overall play — is an NHL-best 13.8. A month ago, we reported that Santa Anita Park, the storied Los Angeles-area racetrack where "Seabiscuit" was filmed, had indefinitely suspended all future races following the 21st horse fatality in 69 days. Update: The track resumed races on Friday, and now another horse has died. Arms Runner, a 5-year-old horse, fell during a race on Sunday and sustained a catastrophic right leg injury that required it to be euthanized. The big picture: "For decades, horse racing has experienced spikes in fatalities without adopting significant changes," writes NYT's Joe Drape. What's happening at Santa Anita, coupled with The Louisville Courier-Journal's piece last week proclaiming Churchill Downs, the home of the Kentucky Derby, to be one of the "deadliest racetracks in America" could help change that. P.S. ... There was also bill introduced in Congress last month that would create a private, independent authority to develop a nationwide anti-doping and medication control program for horse racing. Doping is viewed as a potential cause of this, as some believe horses are being loaded up with anti-inflammatory drugs to mask injuries so they can run. Kentucky: John Calipari has agreed to a contract extension that will see him finish his career with the Wildcats. UCLA had reportedly offered him $48 million over six years. UCLA: Having missed out on Calipari, the Bruins will turn their attention to TCU coach Jamie Dixon and Cincinnati coach Mick Cronin, the LA Times' Ben Bolch reports. Belmont: Rick Byrd is retiring after nearly 33 years as Belmont's head coach. He should be a Hall of Fame lock, writes The Tennessean's Joe Rexrode. "And when he gets in, the first thing that should be mentioned is something that honestly can't be said about everyone who's in there: He's a good guy." Vanderbilt: Former NBA All-Star and current Grizzlies assistant coach Jerry Stackhouse is in talks to become Vandy's next head coach. Seven years ago today, Anthony Davis led Kentucky to a 67-59 win over Kansas in the NCAA Championship Game. 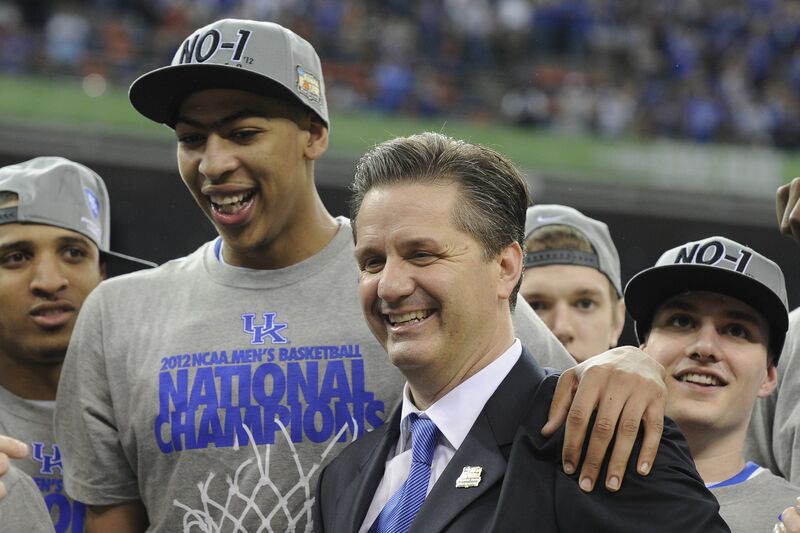 It was the Wildcats' first championship since 1998 and the first championship of coach John Calipari's career. History is made: It was Kentucky's 38th win of the season, breaking a record shared by five teams for the most wins in NCAA men's Division I history. Stat-sheet stuffer: Anthony Davis became the first player in NCAA tournament history to record 6 points, 16 rebounds, 5 assists, 6 blocks and 3 steals. He scored his first field goal of the night with 5:14 left in the game. Only eight pitchers in baseball history had a career ERA lower than 2.10 when they reached 500 innings pitched. Question: Seven of the eight debuted over a century ago, while the eighth debuted in 2010. Who is he? Hint: He has spent the bulk of his career in Atlanta and Boston. Major League Lacrosse: The 19-year-old league, which saw much of its top talent leave form the Premier Lacrosse League this offseason, just announced that its North Carolina, Ohio and Florida teams are folding ahead of the 2019 season (begins May 31). Premier Lacrosse League: Speaking of the PLL, the league's inaugural All-Star weekend will be July 21 at Banc of California Stadium in Los Angeles. 1. 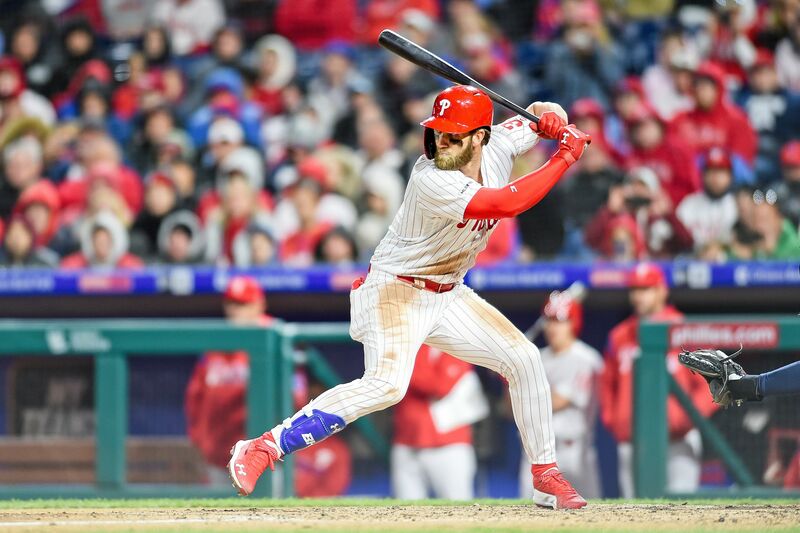 Will Bryce Harper hit a home run in his return to D.C.? Know this: Max Scherzer is on the mound for the Nationals. 2. Who will cover the spread in Nuggets vs. Warriors (-8)? Know this: The Warriors have defeated the Nuggets at home by a margin of 27 total points (13.5 PPG) in their last two games against Denver. 3. Will James Harden score Over/Under 39.5 points against the Kings? Know this: Harden scored 50 points in a triple-double against the Kings on Saturday night and has six 50-point games since Christmas. Yesterday's results: Cubs-Braves combined for exactly 8 runs, so that resulted in a push … 32.7% said Arike Ogunbowale would score under 23.5 points. She scored 21 … 60.4% said the Hornets (+11.5) would cover the spread against the Jazz. They lost by 9 (111-102) ... Winner(s) announced Friday!